Amanda is a compassionate and caring nurse with over 14 years of experience and knowledge in both academia and practice. She is currently working toward her Doctorate of Nurse Practice with a focus in Executive Leadership. Through her roles she is able to use Simulation to bridge the gap between education and practice. 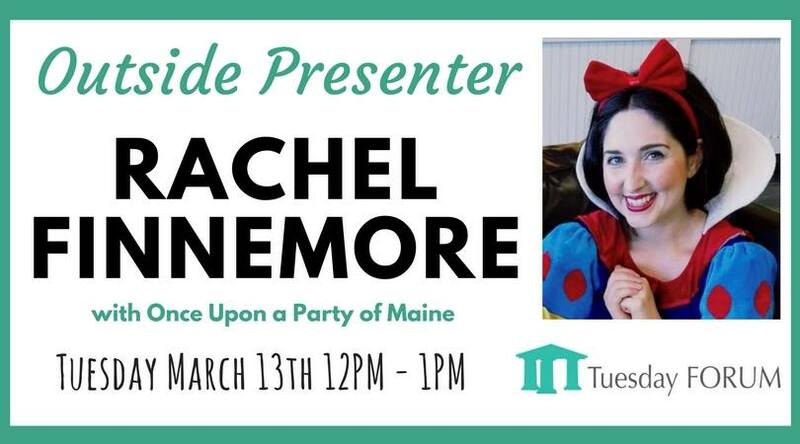 Tuesday Forum is Maine's largest networking organization of working women offering support for personal and professional growth. We meet every Tuesday at noon at Seasons in Bangor. We invite you to arrive at 11:30 a.m. if you would like to mingle with the other members. If you would like lunch the meal is $15.00 and you have several options to chose from. We take cash and checks at the door or you can prepay online here. Want to become a member? Visit our website www.tuesdayforum.com and click Become A Member. Our annual membership fee is only $50! Come join us at our monthly business meeting! Each steering committee member will be going over the latest updates happening with Tuesday Forum. 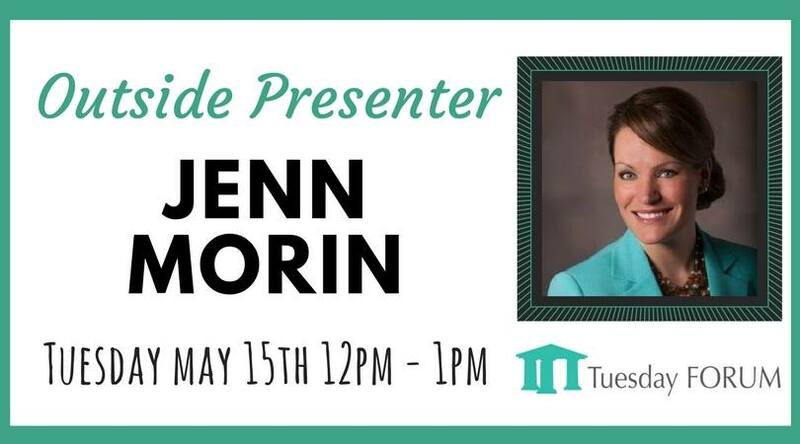 We will also be hearing from this month's business sponsor, Toni Wagner of From With-in You! As a recently retired, 30-year Speech and Language Pathologist, co-owner of Carabito Corporation and now the proprietor of From With-In You: Coaching the Mind Body and Spirit, Toni has embarked on a new career that encompasses a look at what it means to be human. We are a species with incredible resilience once we figure out how to use the “computer program” we are designed with; the ability to heal ourselves through our thoughts. Her specialty is in helping women through a variety of difficult life transitions by helping them to discover their own inner “best friend” and by helping them change the limiting “stories” that keep an otherwise strong woman, unable to reach her full potential. Toni has a Master of Science degree in Speech and Language Pathology, Certification from the Robbins-Madanas Training in Strategic Intervention Coaching and a LOT of crazy life experiences. Largest networking organization of working women offering support for personal and professional growth in the State of Maine. If you would like lunch the meal is $15.00 and you have several options to chose from. We take Cash and Checks at the door or you can prepay online here. The room opens at 11:30 AM if you would like to arrive early to mingle with the other members. We look forward to seeing you at a meeting! 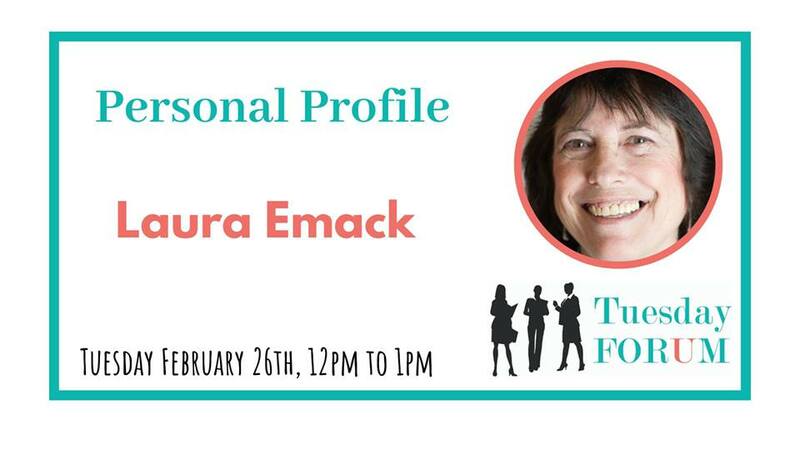 Come join us to hear from our very own Tuesday Forum member Laura Emack! Laura is a writer, CPA, wife, mother, and most importantly past TF president. Today she will share some unresolved grudges from childhood along with the answers she has found at age 67 plus a few challenges that stubbornly persist. Visit www.tuesdayforum.com for more info! If you would like lunch the meal is $15.00 and you have several options to chose from. We take cash and checks at the door or you can prepay online at https://www.tuesdayforum.com/lunch-fee/lunch-fee. The room opens at 11:30 AM if you would like to arrive early to mingle with the other members. We look forward to seeing you at a meeting! Ryan became a mason in 2003 and joined Anah Shrine in 2006. He was appointed membership Chairman in 2007 and served in that capacity until 2010 when he was appointed Athletic Director. 2011 brought another appointment to the Directors Staff where he served until 2017 when he was appointed to the Leadership team known in our world as the Divan. 2017 also brought his appointment to the Shriners Hospital for Children-Boston as an associate board member. In 2018 he was appointed to the Board as a full board member. Shelly is the program coordinator for the Bangor Region Chamber of Commerce, coordinating the efforts of Bangor Region Leadership Institute, FUSION: Bangor and Building Bridges. 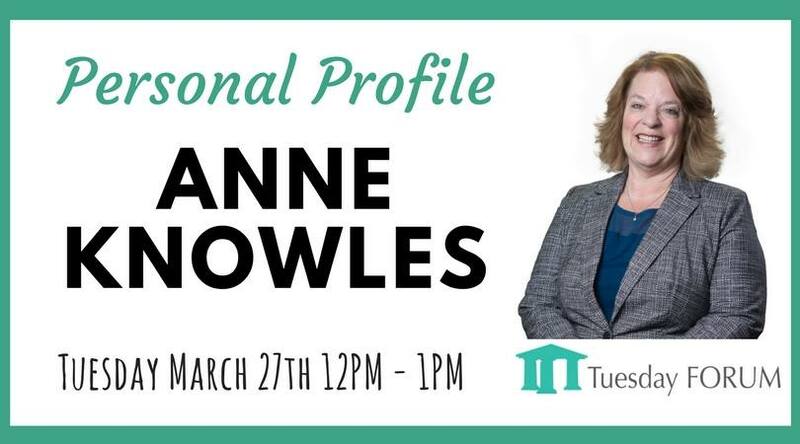 Her position provides her the opportunity to work with a diverse group of individuals and groups in the Bangor area, providing leadership opportunities, engaging young professionals and making connections with employers and educational leaders. Prior to her work with the Chamber, Shelly spent most of her professional career working with non-profit organizations such as Training and Development Corporation (TDC) and Eastern Maine Development Corporation (EMDC) in the area of workforce and economic development. If you would like lunch the meal is $15.00 and you have several options to chose from. We take Cash and Checks at the door or you can prepay online here. The room opens at 11:30 AM if you would like to arrive early to mingle with the other members. We look forward to seeing you at a meeting! Peter Cowin also known as The Bee Whisperer is a beekeeper with more than 70 hives and runs a beekeeping supplies business in Hampden. Peter has kept bees since he was 11 years old and is now President of Penobscot County Beekeepers Association. He sells honey and beeswax produced by his bees and uses them to make lib balms, hand creams and other products. He is often called out to collect honeybee swarms and to remove honeybee colonies that have made their homes in places like walls of houses. Peter teaches beekeeping for beginners and intermediate beekeeping in adult ed. Classes in many towns have more than 300 students each year. Heidi Thayer is a physical education teacher at the Glenburn School. She has been teaching at Glenburn for 18 years. Not only does she teach P.E., but she is also the Wellness Leader. Last school year Heidi started a Helping Hands program for the students and families in need of food. The mission of the Helping Hands program is to provide children with nutritious, easy to prepare food at times when other resources are not available such as weekends and school vacations. 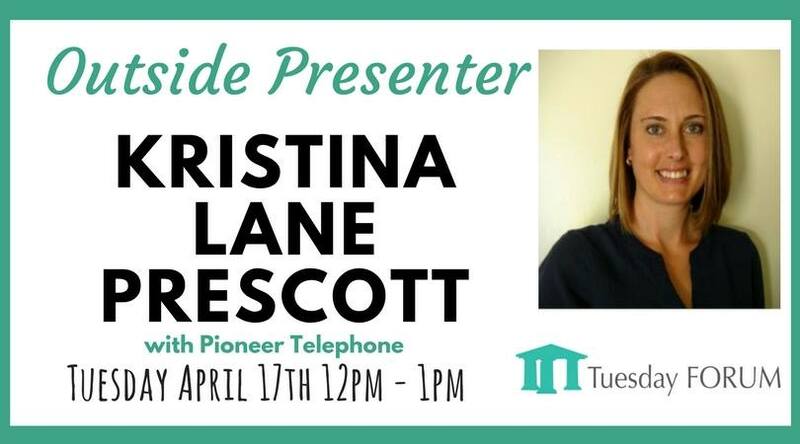 Come join us at our monthly business meeting! Each steering committee member will be going over the latest updates happening with Tuesday Forum. We will also be hearing from this month's business sponsor, Heidi Harriman. 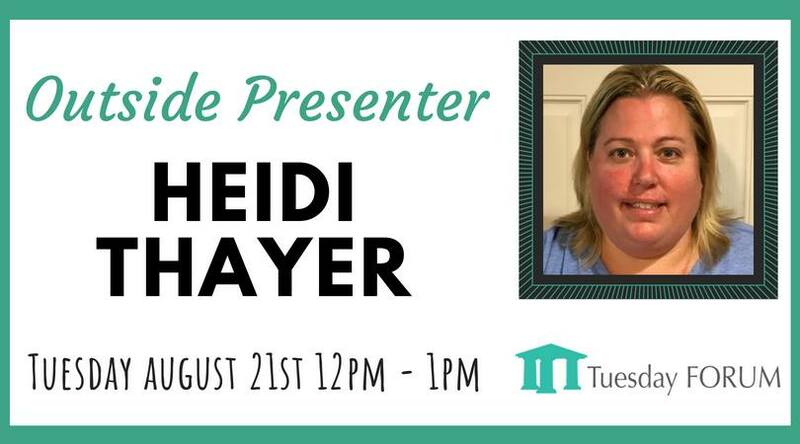 In 2010 Heidi was hired as a Customer Service Rep for MidMaine Communications which has now been acquired by Otelco. In 2012 she was promoted to Backup Supervisor for a year and then accepted a Senior Customer Service Rep position in 2013. In 2016 she was then promoted to an Account Executive position which she currently holds. She manages 50 plus accounts from small to large businesses throughout the state of Maine and into NH and Mass. She is responsible for maintaining current accounts and bringing on new customers. Outside of work she enjoys riding her 5 horses and spending time with family and friends. Recovered junk-food-junkie, Jennifer Hooper has walked the path of binge-eating, out-of-control food cravings, and feeling ashamed. Today, she helps women reign in out-of-control eating habits, starting with their MINDS instead of their mouths. She also serves as an ambassador for the region's local grocer, Tiller & Rye. 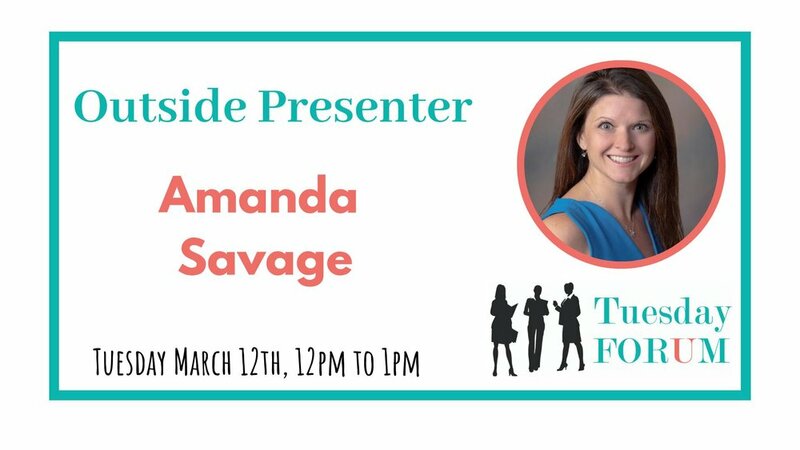 At this event, she'll share more about her story, including how she's transformed her own life using food as a foundation.